We’re excited to host Anna Lee Huber today. 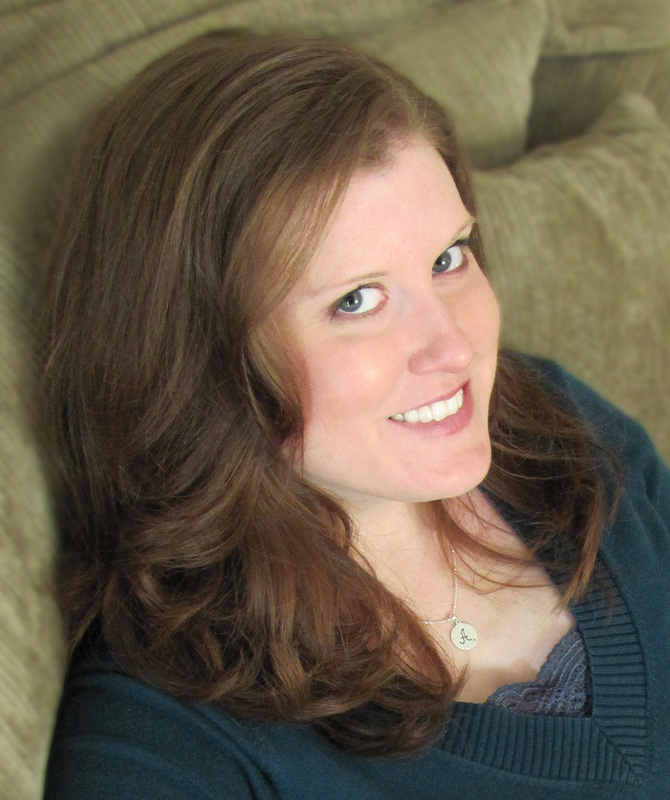 Her debut novel, THE ANATOMIST’S WIFE, launched her award-winning Lady Darby historical mystery series. MORTAL ARTS, the second novel in the series, released on September 3rd, and we can’t wait wait wait to read it! Anna has offered to send a copy of MORTAL ARTS to one lucky commenter—more details at the end of this post! 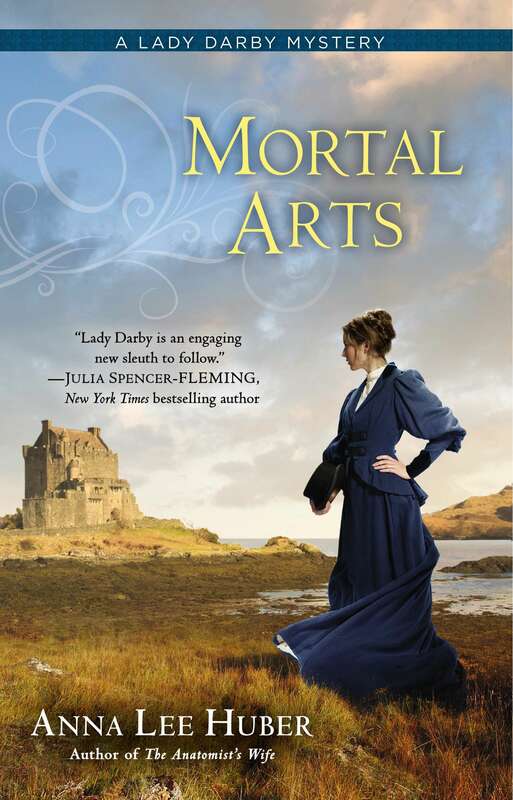 About MORTAL ARTS: Lady Kiera Darby is no stranger to intrigue–in fact, it seems to follow wherever she goes. After her foray into a murder investigation, Kiera must journey to Edinburgh with her family so that her pregnant sister can be close to proper medical care. But the city is full of many things Kiera isn’t quite ready to face: the society ladies keen on judging her, her fellow investigator–and romantic entanglement–Sebastian Gage, and ultimately, another deadly mystery. Thank you for joining us today, Anna, and for our answering our questions! After the acclaim you received for your debut novel, The Anatomist’s Wife, did you feel extra pressure while writing Mortal Arts? Fortunately, I had already written Mortal Arts before The Anatomist’s Wife released. But I did feel added pressure while writing Book 3, A Grave Matter (scheduled for release in July 2014). There’s a fear that you won’t be able to meet or exceed expectations. That the series would become stale. How was your experience writing this novel as compared to your experience writing The Anatomist’s Wife? In many ways writing Mortal Arts was harder than writing The Anatomist’s Wife. It was the first novel I wrote to a publisher’s deadline, and the first time I’d actually tried to write the second novel in a series. And I also struggled with “imposter syndrome.” Many of my author friends have admitted to battling it as well, particularly with their second novels. There’s this fear, irrational as it may be, that you fooled everyone the first time around. That you truly can’t write. And now you’ll be found out. It can be crippling. However, I did have the benefit of knowing that what I was writing had already sold. I’d received a three-book contract with The Anatomist’s Wife, and there was no more uncertainty about whether what I was writing would ever see the light of day. That’s incredibly freeing, and relieves a lot of pressure. There’s also the realization that any problems you might be facing are truly blessings. After struggling for so long to get published, to achieve your dream, you would take these new set of worries over the old set any day. What lessons learned from the first novel did you employ during the journey toward publication for Mortal Arts? I learned that you have to fiercely protect your muse. If something is hindering your confidence or your creativity, then you can’t let guilt keep you from blocking or cutting that from your life if at all possible. There’s no need to be cruel or rude, but you are allowed to look out for yourself. And you also need to safeguard your writing time. Marketing and promotion and social media can eat up so much of your time if you let it. You’ve got to cherish your writing time, keep it sacred. What do you find tricky about writing a series? The trickiest thing is maintaining the continuity. I worry I’ll forget something from the earlier books, or that Lady Darby’s voice will accidentally change, or that the psychology and the character arcs from one book to another won’t match up. It’s so important to me that I get those right. But other than that, I find it a pleasure getting to work with the same characters over and over again, and deepening their journey. I may regret sharing this, but I HATE to be chased. It freaks me out. I think my husband is the only person who knows this about me. Well, until now. I can also be startled really easily. It usually happens when I’m thinking deeply about something else while doing a mundane manual task—brushing my teeth, showering, loading the dishwasher. My husband can walk around the corner and totally freak me out when he’s not even trying just because I’m not paying attention. Readers, have you ever felt like an imposter in your life? And, we all have a need to protect our muses–how do you protect yours? GIVEAWAY! Enter to win a free copy of Mortal Arts when you comment on this post by 11:59 p.m. ET on Thursday, September 26. We’ll choose and contact the winner on Friday. Good luck! US shipping only, please. Loved The Anatomist’s Wife! I’m so glad you battled through “imposter syndrome” to continue Kiera’s story. I have Mortal Arst on my wish list & hope to get to it soon! I loved The Anatomist’s Wife. Can’t wait to read Mortal Arts. Great interview. Thanks for having this wonderful giveaway. Anna, thanks so much for joining us today! I startle really easily too. It’s almost comical that way I jump and squeal. MORTAL ARTS is on my list. Can’t wait to read it! I’m writing this comment from Bouchercon. Hope to meet you at a conference someday! This sounds like a riveting read! Renee & Cheryl – Thank you! So glad you liked THE ANATOMIST’S WIFE. Lisa, thank you so much for interviewing me! I thought these were some great questions. You made me really think. 🙂 Have a blast at Bouchercon! Can’t wait for everyone to read MORTAL ARTS! Anatomist’s Wife is on my list. Thanks for posting with us at the Debutante Ball! Thanks so much for joining us at The Ball, Anna! I can so relate regarding impostor’s syndrome—I struggled with it myself when I was working on edits for my book. What helped me most was talking to other writers and realizing that I wasn’t alone. It’s nice to know that it’s really all in our heads! Thanks for your wonderful post. A muse is insistent and always prevalent in my life so I try to deal with it as quietly as possible. Sounds like a good book. I have the first in the series but haven’t gotten around to reading it yet.